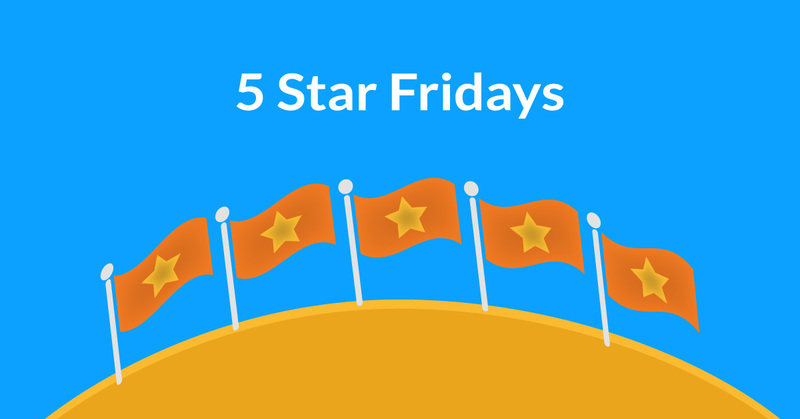 Welcome to the second installment of Five Star Fridays – a weekly blog dedicated to showcasing our favorite wristbands made by our customers. If you are looking for inspiration, look no further. Let’s check out our favorite designs from this past week! Don’t Be Little. BE BIG. 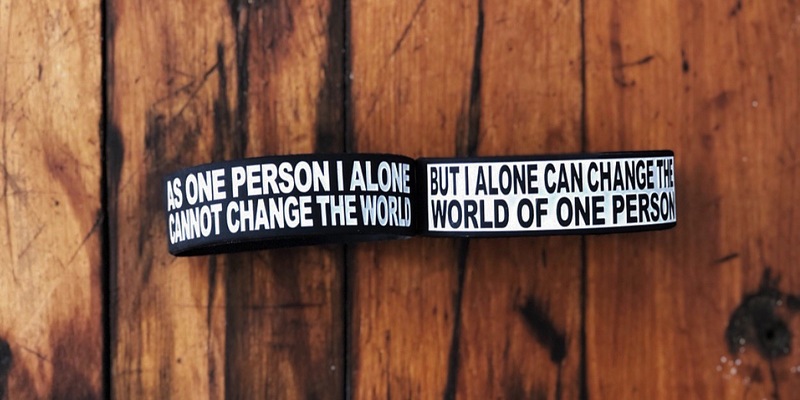 Our first wristband from the Ovation Company features our ultra-wide style in black and white. This style provides a 1-inch thick band for those with the biggest ideas, a great option for those who really want to see their artwork come to life. The Ovation Company is helping students stand up for what is right, what is good, what is kind, and what is fair. 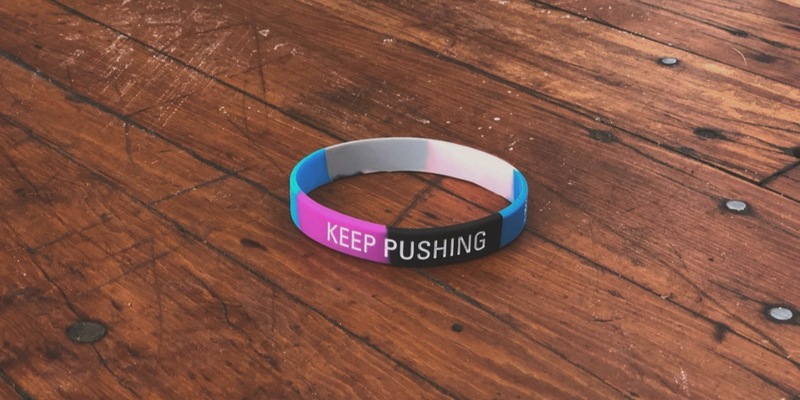 We love the message, and we love the wristband. Next on our list is this amazing segmented band. Here at WristbandBros, possibilities are endless. If you have a design in mind, we will work with you to make it happen! Color-segmented bands allow the customer to create a wristband of multiple colors and the results look awesome! There is a lot of beauty in simplicity. 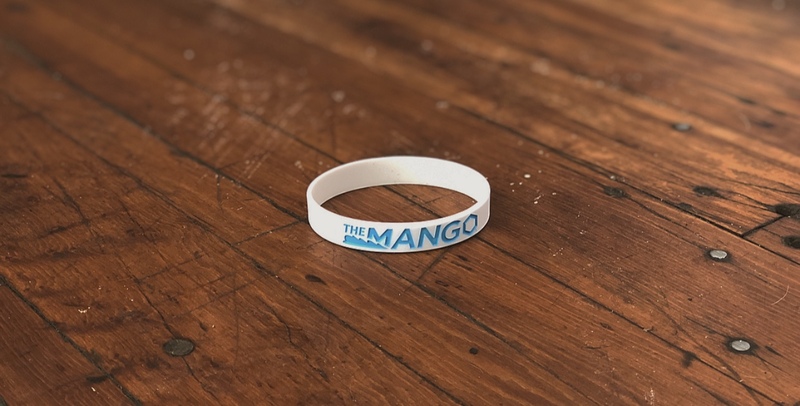 This white and blue wristband is simple but exemplifies the many depths of graphic design. We love the subtle change in the “O” of mango and how it makes the logo look more interesting. This play on lettering is called expressive typography, and we love the way this wristband came out! Here we have a great example of our ultra-thin wristbands. As our cheapest style wristband, these bands still have the ability to show off your message very clearly. In this example, we couldn’t help showing off the positive energy. 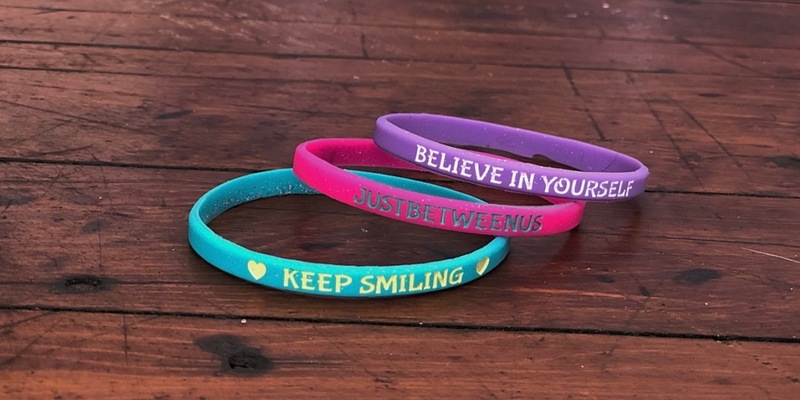 These designs are great for whenever you are feeling down, because you can always have a positive message readily accessible to pick you back up! 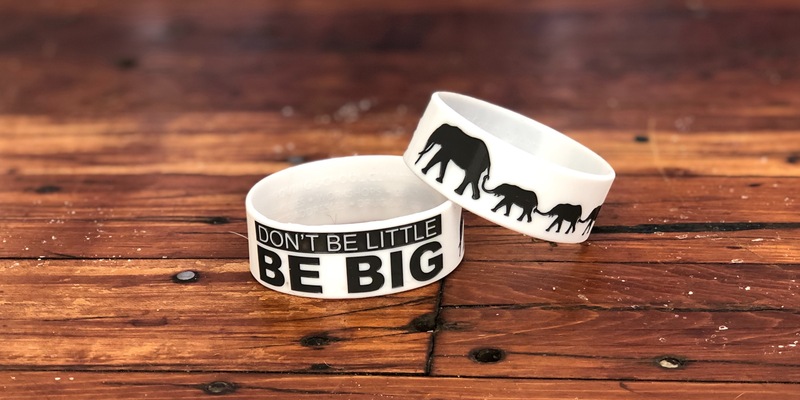 Our absolute favorite wristband this week showcases our 3/4 inch style wristband. This style was the perfect size for this customers design which shows off a truly inspiring message. “As one person I alone cannot change the world, but I alone can change the world of one person.” We love to see our customers spreading positive energy, and what better way to bring people together than to wear it something you can all believe in! Great stuff! That’s a wrap for our second edition of Five Star Fridays. Check back next week for some new designs! The easiest way to make custom wristbands.